When it’s time to dress to impress remember the name Uncle George visit them online at www.jewellerybygeorge.com.au a quality jewellery and homewares store located in Hastings Street, Noosa, Queensland. 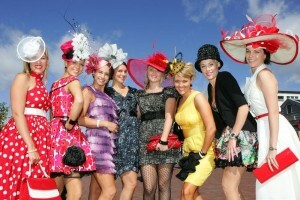 Consider uping your dress code with Melbourne Cup just around the corner ladies dress for the day and the occasion. This post is also for readers who wrote asking for some Cup Day fashion advice. 2. Plan your outfit starting with the dress. I once had to find the outfit for a client to work back with a hat sheâ€™d fallen for (hello Sue, I love that youâ€™re still getting wear out of that outfit BTW!). It can be done but itâ€™s a whole lot easier to find the dress and then buy the hat (or have it made)Â to suit. 3. Headwear is a must. A hat, fascinator or headpiece it’s not a race day outfit without one. If at a function indoors, err on the smaller side so as not to knock out the person sitting next to you. Trackside? Go to town on the size factor and make a statement with it. 4. 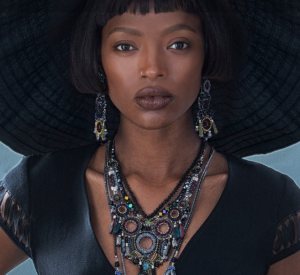 Invest in a one-off piece of millinery. This isn’t a possibility for everyone but if it is a statement you want, then this is the way to go. Ask around for recommendations or contact your local TAFE to see if there are any student milliners near you whose work is cutting edge yet undiscovered. Want more wear out of your head piece or hat? Op’t for a design in a neutral base but with coloured adornments you could have changed later for a different race day outfit. 5. It’s spring so your outfit should reflect that. Traditionally Melbourne Cup Day fashion is associated with a whole lot of colour. If you’re doing the entire Spring Racing Carnival in Melbourne then by the time Cup Day rolls around you will have already trotted out your black and white for Derby Day and have an ultra-feminine number ready for Oaks Day. Outside of Melbourne, you can definitely get away with a Cup Day outfit that is monochrome or girlie just make it fun and fabulous with your own spin on it. 7. Choose your footwear wisely. It’s never a good look to leave a Melbourne Cup Day function or the races barefoot and carrying your shoes in your hand. Wear shoes you know you can go the distance in. This isn’t so much of a consideration if you’re just going out to lunch and then doing the school pick-up but it most definitely is if you are trackside. 8. If your buying a new dress, buy something that you know you’ll wear again. Ideally you already have an event or occasion coming up during the party season where you know you’ll be able to trot it out without the headwear. And if you work in an office, maybe it’s something that this time next year will join your work wardrobe. Thinking of a dress purchase this way means that if it initially costs more than you would normally spend, its value will be in the distance it goes in your wardrobe. 9. Book in with your hairdresser. If you have not already done this and are planning attending a fancy Cup Day function, stop reading and make the call. Your headwear might look best with an up style or you may just need expert help in securing to your head so it lasts all day.